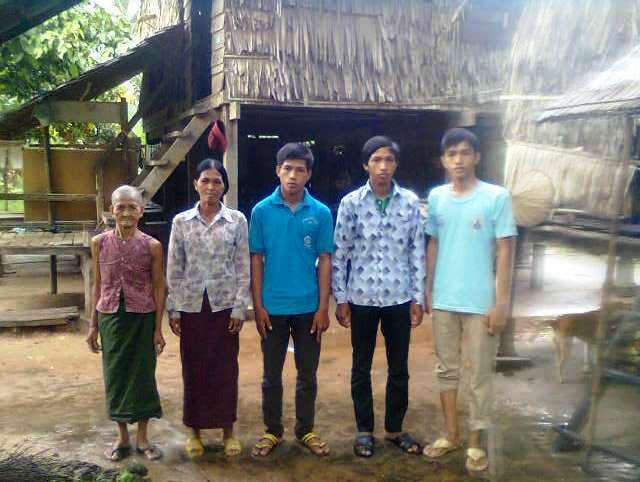 Pon, the first from the right, with his family in front of his house. You might have heard about the human capital development strategies that AKC has been taken, and you must have heard Pon, our motivated, and self-reliant person who has grown his life through volunteering. After a few successful jobs helping his own community and the surroundings though the voluntary work with Angkor Kids Center, Pon has been granted an opportunity to study at Ubon Ratchathani Rajabhat University in Thailand in the Faculty of Agriculture Technology, which is not available in Cambodia. 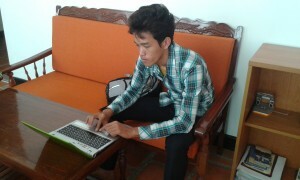 1 – Due to the political changes/reform in Thailand made over 200,000 Cambodian workers without proper permit forcing to return to Cambodia, this causing the students with student visa stopped or banned from working at night or outside the school, as what he had planned to survive his life. 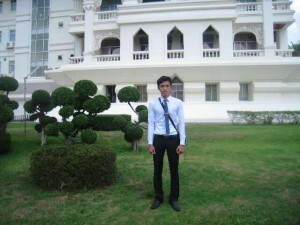 2 – Pon was trying to ask the university to have some job to do at the university as well that we would got 6000 Thai Baht around 188$ per term, and that will be entitled to pay at the end of the term (4 months), but he was rejected with a condition that he is a freshman (first year student), he will be allowed to apply in term 2 onward, it means he could try again in January 2015. 3 – With the first fund donated by Linkforaid, the Italian charitable association (USD 600.00 in September 2013, and USD 1,100.00 in March 2014), that AKC managed to send him phase by phase, permitted him to live just during the whole month of September 2014 – here is the general expenses from late January 2014 up to September 2014. ​4 – Pon normally eats a lot like a few plates of rice but now he reduces to just to have something in stomach, ​but he still have to spend at least 3$ per day, and he also need to pay some classroom paper work at around 30$ minimum per month as well, these are the ongoing cost. ​Donors, supporters, friends, with the details of this message, ​I would like to call all of you to make any possibilities to help Pon carrying on his safe and confident student life there, I am very sour that Pon will make a great model influencing others, and contribute back to the humanity with professional and fair practices in term of education development and environment protection. Please let me know if you need any other information to support the campaign raising the fund for him. You may make a quick donation to our Pay Pal account or to our foundation partner account ! 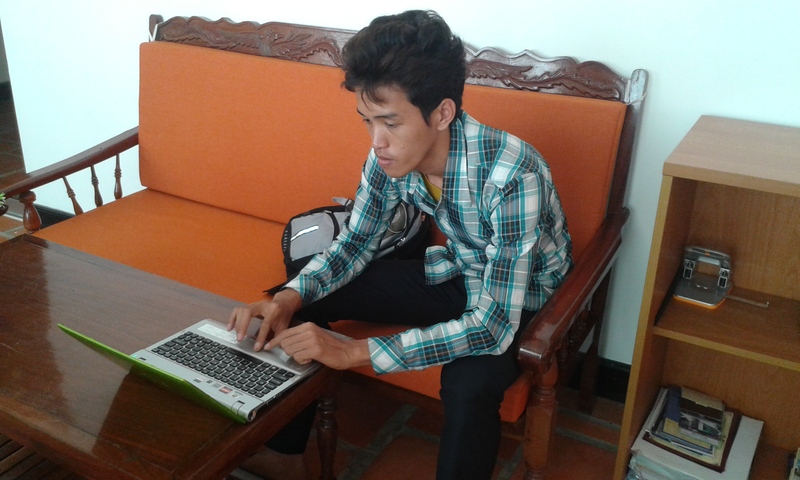 A part of the need for his university study on agriculture course for four years in Thailand is a laptop to do the research and do the work. With an intervention of Ms. Pamela McCourt, the president of Linkoraid, charity association based in Rome, Italy, Pon now have a nice notebook, a special present of Ms Paula Camba Junker. Thanks for all your kind contribution ! Stay subscribed to see his progress ! AKC builds my bright life ! 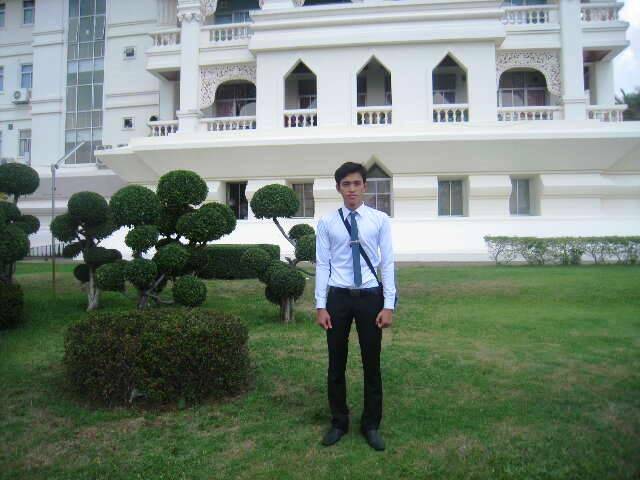 Standing in the overseas university garden with pride, ” It is an incredible miracle, I must said this, when my too far away dream just become true! ” said Pon, a young boy living in one of the most difficult living condition in Somroang village just next to the AKC school. Pon started his school like flying in the middle of nowhere. 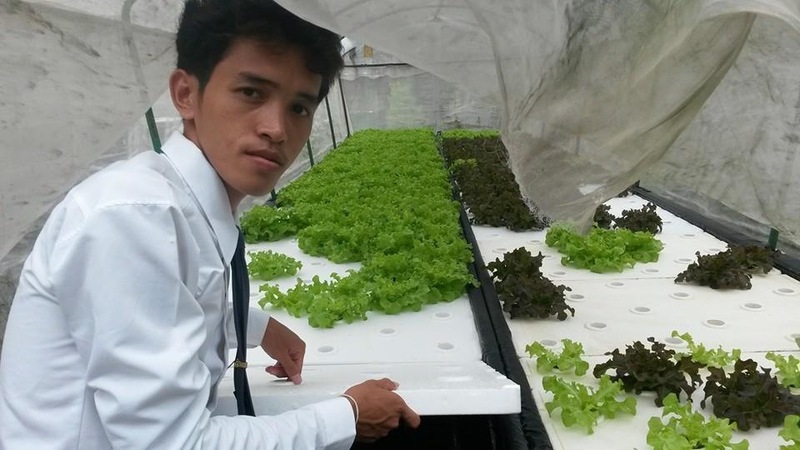 After participating with AKC project, as a volunteer Green project coordinator for a few years, he was offered a chance of having a scholarship to study in a university in Thailand with the support of one of the AKC partners in Italy, Linkforaid http://linkforaid.org/. Congratulation Pon ! The most grateful to Linkforaid team!